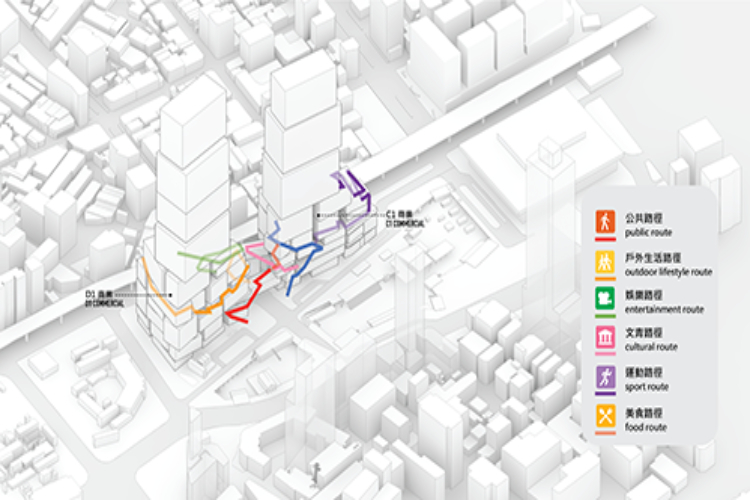 MVRDV’s bold and ambitious design for the Taipei Twin Towers, designed as part of a consortium lead by Nan Hai Development, has been selected to revitalise the central station area of Taipei. 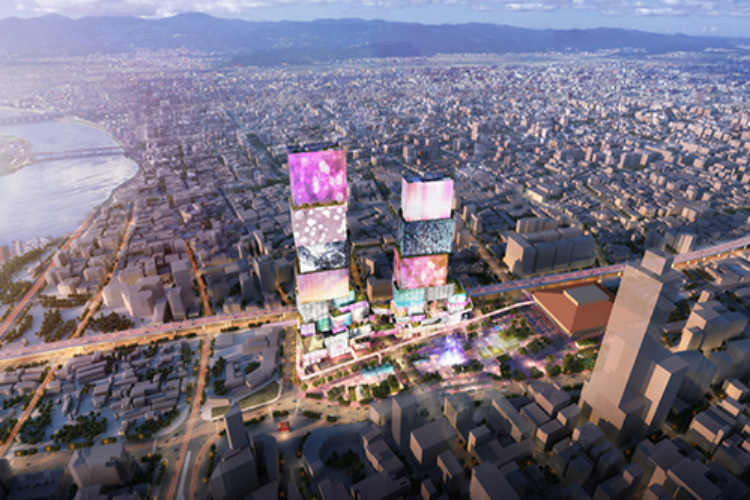 The design of the Taipei Twin Towers is characterised by a pile of blocks that create a vertical urban neighbourhood, and by the façades of those boxes – including a number of interactive media façades – that artistically communicate the diverse program contained by those blocks. 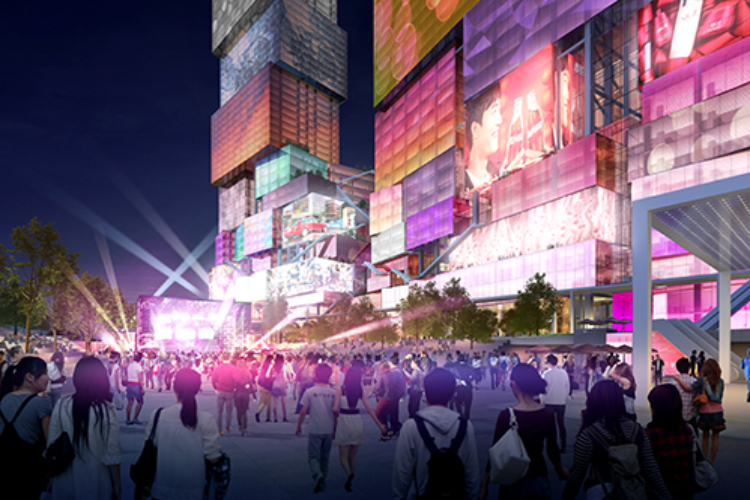 The aim of the project is to provide a vibrant and charismatic destination that re-establishes the central station area of Taipei as the city’s premier location for shopping, working, and tourism—a Times Square for Taiwan. The site of the Taipei Twin Towers project is currently occupied by the city’s Main Station, which serves both the city’s railway, airport lines and metro networks, and a number of underused parks and plazas. The new buildings will be built over the top of the existing station, combining retail, offices, two cinemas, and two hotels; meanwhile the plazas will be unified and redeveloped. The neighbourhood surrounding the building includes a mixture of small, human-scale buildings and larger towers. 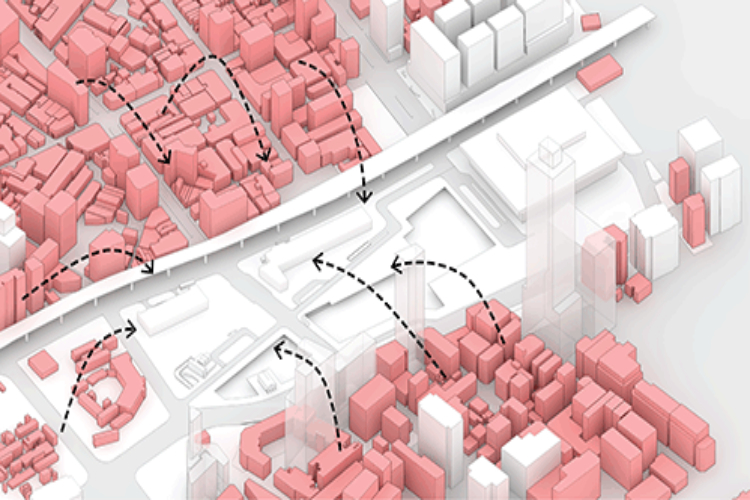 MVRDV’s proposal combines these two contextual scales. 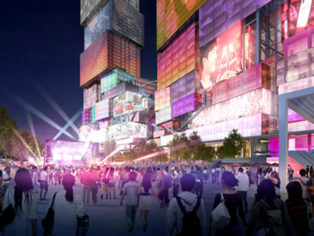 When experienced from up-close, the main visual impact of the buildings will be provided by the bases of the towers, comprising connected stacks of small blocks housing retail, with each proposed to house different retail outlets and thus contain different identities. Above, larger blocks complete two towers of 337 and 280 meters, providing the dominant impression of the buildings when seen from afar. These larger blocks house the offices, cinemas, and two hotels: one targeted at young, trendy travellers crowning the East tower and the other focusing on the luxury market crowning the West tower. At ground level, the design proposes a sunken plaza, with a variety of interventions inspired by the history of the site: structures marking the former locations of the original station and plaza and some old houses will turn this plaza in the centre of Taipei into a kind of archaeological study, a vision bringing to light the city’s past. These structures will include pergolas to provide shade, tribunes to allow for public events, and a variety of other public services. This vertical village approach continues MVRDV’s investigation into the future of high-rise buildings. 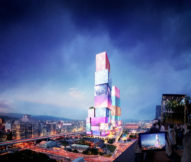 Whereas traditional skyscraper typologies create a separation between the ground-level public realm and the elevated and isolated world of the building’s interior, the Taipei Twin Towers will allow these two conditions to intertwine. By extending exterior pedestrian routes over the bottom 20 floors of the building, the public realm of the city is expanded into three dimensions, while the interior life of the tower is allowed to spread out into its surroundings. Thanks to the small size of the retail blocks, it makes it possible for each to contain just a small number of tenants – and in many cases just a single store. This opens up the possibility that each block could communicate its unique character through an individual façade. 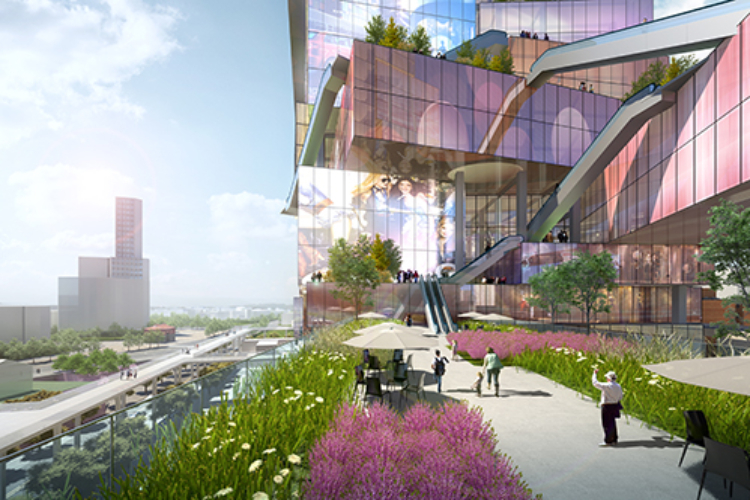 A number of these façades are also proposed to feature interactive media displays, making the buildings dynamic hosts for showing major cultural spectacles, sporting events, and of course advertising. 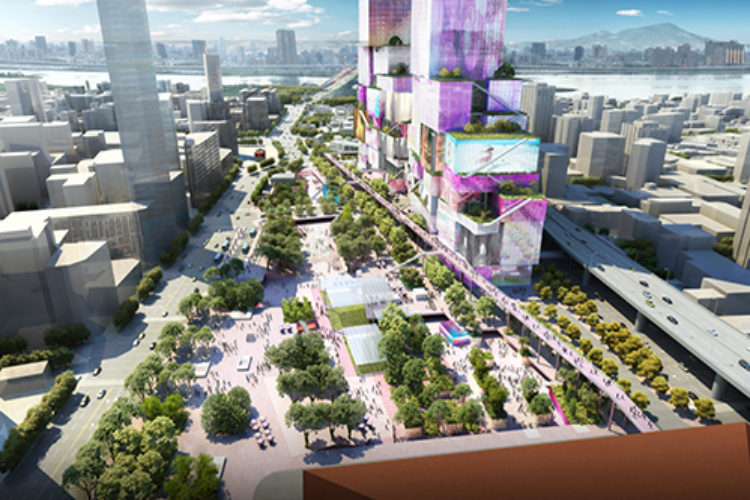 To realise the Taipei Twin Towers, MVRDV is working with co-architect CHY Architecture Urban Landscape, landscape designer Topotek1, and consultants Envision Engineering, ARUP, RWDI, and Mercury Fire Engineering Consulting.